This year, Arizona—following the lead of Florida and a growing number of other states—will require schools to hold back third graders who receive low scores on the state’s standardized reading test. Based on previous test scores, an estimated 1,500 third graders in Arizona are at risk of being held back this academic year. Many people think of learning to read as an almost effortless process; to them, those 1,500 third graders are an indicator of bad teachers or schools, irresponsible parents, or lazy students. But the issue is much more complex. To understand how children in Arizona could score so poorly on the state’s standardized test, we need to understand how children learn to read and how those skills are assessed. Apart from school instruction, children learn to read by hearing varied language, encountering different kinds of texts and, perhaps most importantly, from interactions with parents and peers. Studies have shown that affluent parents talk and read more to their preschool children than low-income parents and are more likely to have a wide variety of texts at home. The gap in vocabulary knowledge between kindergarteners from affluent and low-income families is wide and impacts performance on reading comprehension tests in later grades. 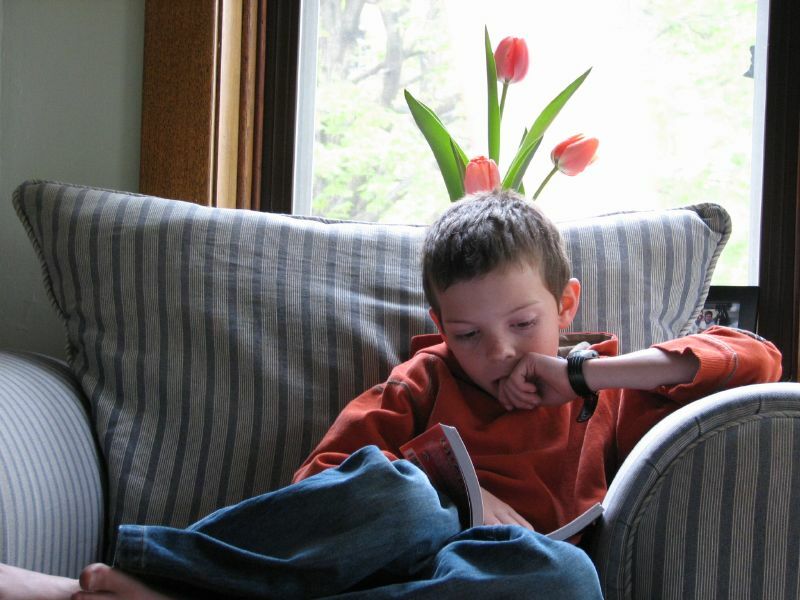 Even children who read at home—and gain exposure to new vocabulary words and more challenging texts—are not necessarily prepared to score well on a standardized reading test. In fact, many questions on Arizona’s current test can be answered without reading the related passage and require only that a child knows how to alphabetize or understands the meaning of a particular prefix. Standardized reading tests also assess a child’s willingness to read texts that are irrelevant to their interests and taken out of context. Indeed, such tests—and more importantly, reading instruction geared toward helping students pass them—encourage children to view reading as a set of isolated skills to be applied to tasks with little or no personal relevance. (Even efforts to make texts enticing to 9-year-olds—like this sample third-grade reading exam, which includes a recipe for celery with peanut better and raisins—don’t work when removed from meaningful context, like being in a kitchen.) When children are taught to read in this disembodied way—solely through exercises to “find the main idea” or by memorizing a list of vocabulary words—they may not understand how language can be used to achieve different goals or the purpose of various texts. High-stakes reading tests like the one in Arizona can end up driving the curriculum, especially for struggling students. Teachers feel compelled to teach to the test, especially if their students have been retained due to low reading scores—or if they are being evaluated on how well their students perform. And even when requiring students to repeat a grade raises their test scores in the short term, these achievement gains seem to disappear within a few years. There is also substantial evidence that students who are held back a grade are more likely to drop out before completing high school. So what is an alternative approach for Arizona? First, we need to focus more attention on ensuring that every child enters kindergarten with a strong foundation for success. We need to provide children from low-income homes with access to high-quality preschool, and create opportunities for them to interact with adults who can nurture their language development. We should help parents understand the importance of talking with their young children to develop their vocabularies and engage them in reading. We should also create additional learning resources for kindergarteners, so that difficulties with reading can be identified and addressed as early as possible. Second, standardized tests should not be the primary means of assessing children’s reading abilities—or the basis for holding them back in school. Standardized tests serve some purposes, such as providing school- and state-level information on student achievement. But a standardized reading test should not dictate how students are instructed, and does not serve as an effective tool for assessing the abilities of an individual child. There are many alternatives to standardized tests—such as performance-based assessments—that do not rely on reading tasks taken out of context and multiple choice formats. Performance-based assessments measure students’ ability to read on the basis of their ability to perform specific tasks with particular kinds of purposes. For example, a child might be asked to read information about healthy and unhealthy food choices and make recommendations for a school lunch menu based on that information. Lastly, let’s bring back a sense of awe and wonder about the power of reading in our lives. What’s become lost in the debate over reading test scores and repeating the third grade is a view of reading as a gateway to new ways of looking at the world—a gateway to knowledge that is personally and politically meaningful and a sense of enhanced autonomy and efficacy. Even a third grader knows when reading is useful, when it helps them to gain power and control over their lives. Children read far beyond their “grade level” all the time when they are passionate about something and gain access to information they find empowering. Teachers know this, and many are doing their best to nurture this passion for reading in their students. Instead of testing and re-testing and then testing some more, let’s create policies to encourage a more expansive, positive approach to reading as a goal for every student. Betty Hayes is a professor and the Delbert and Jewell Lewis Chair in Reading & Literacy at Mary Lou Fulton Teachers College at Arizona State University.